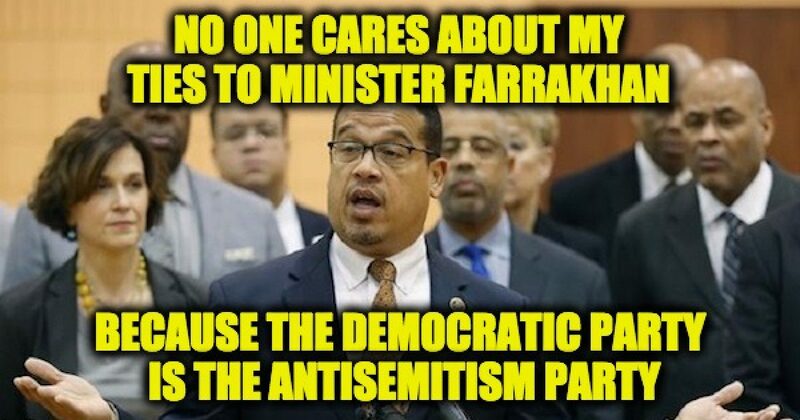 According to the Deputy Chairman of the Democratic Party Rep. Keith Ellison, his colleagues don’t care about his ties to Farrakhan and he is probably correct because Antisemitism is embedded into the Democratic Party. On Wednesday, Ellison received unanimous consent to take over the Expanded & Improved Medicare For All Act from former Rep. John Conyers (D., Mich.), who retired in 2017 amid multiple sexual misconduct accusations. Ellison told the Washington Post none of his colleagues voiced concerns about the Farrakhan story as he campaigned to lead the effort on the bill, which is popular with the left. In 2011, Politico reported that the Center For American Progress (CAP) which was at the time run by Hillary Clinton’s future campaign manager John Podesta was fighting with the more mainstream Democrats about Israel. They want to change the party to the Anti-Israel party. As Caroline Glick wrote about Ellison. The last sentence alluded to another of Jackson’s alleged statements, providing a personal basis for characterizing Jews as “the most racist white people” she knew. Ellison’s May 28 letter acknowledges only that others supported Jackson’s alleged statement in that controversy while falsely denying that he himself did so. For example, in 2010, Ellison convinced 53 other Democratic members of Congress to sign the infamous “Gaza 54” letter to President Obama, which falsely accused Israel of humiliating and wreaking “collective punishment” on Gaza residents and demanded that President Obama should pressure Israel to lift the Gaza blockade despite the fact that Hamas was using its imports to create bombs and rockets to kill Israeli citizens. Ellison is a featured keynote speaker at many BDS organization events including the American Friends Service Committee which runs a BDS boot camp, Progressives for Palestine, and is a favorite of the anti-Israel group ironically called Jewish Voice for Peace. In a rare occurrence of disagreeing with progressives, The Jewish Voice for Peace was named by the Anti-Defamation League as one of the 10 most anti-Israel organizations in America (I am sure their mothers are proud). The BDS movement is anti-Semitic because it bases its attacks on fabricated tales of human rights violations, double standards, comparisons to apartheid South Africa, and false accusations of “war crimes.” Understand, this movement has just one purpose, to delegitimize Israel and to deny the Jewish people their right to self-determination. Both the U.S. State Department and Pope Francis have declared that denying that the Jews have the right to have their own state, is a form of anti-Semitism. There are many more examples of Ellison’s, anti-Israel and anti-Semitic actions, including connection to Muslim Brotherhood/Hamas associated groups such as MAS, CAIR, and ISNA. (MAS even paid for his Haj to Saudi Arabia). In 2012 Democrats removed planks from its platform originally designed to protect Israel from terrorism and to protect its status as a Jewish State. Anybody who focuses on the Congressional Black Caucuses support of Louis Farrakhan and Ellison’s historical support of anti-Semites is only looking at part of the picture. Antisemitism has become institutionalized in the Democratic Party. Democrats such as NY’s Kirstin Gillibrand protected anti-Semite Linda Sarsour and other Democrats like NY’s Governor Cuomo invite her to speak to our college students. Sarsour blames her bad image on the Jewish-controlled media., Al Sharpton, a man who led two anti-Semitic pogroms in NYC advises Democrats (and celebrated by Jewish politicians like Senate Minority Leader Chuck Schumer), and of course, Barack Obama the former President of the United States is an anti-Semite. The DCCC which was run by NY Democrat Steve Israel at the time published a petition supporting Occupy Wall Street which is looking for 100,000 signatures in support of Occupy Wall Street which had already been proven to be Antisemitic. Along with Rep Israel, and President Obama, statements in support of the anti-Semitic Occupy Wall Street were given by VP Joe Biden, and Reps. Nancy Pelosi (D-CA), Louise Slaughter (D-NY), John Larson (D-CT), Raul Grijalva (D-AZ) and of course Keith Ellison (D-MN), and others. The Barack Obama White House and State Department refused to acknowledge that the attack on the Kosher supermarket in Paris a few hours before the Jewish Sabbath when families are shopping for their Sabbath Dinner, had anything to do with Antisemitism. Obama also reawakened the medieval anti-Semitic blood libel with false accusations against the Jewish State and refusing to acknowledge the Palestinian’s use of human shields and condemning Israel for any civilian casualties despite the fact that his own Chairman of the Joint Chiefs of Staff General Martin Dempsey said that Israel went to “extraordinary lengths” to limit civilian casualties in the recent war in Gaza and that the Pentagon had sent a team to see what lessons could be learned from the operation. AP reporter Matt Lee pointed out that, according to Dempsey, Israel had lived up to the “high standards” to which the Obama administration holds Israel. Still, Psaki said, Israel’s efforts were not enough. The real truth is that Obama, Kerry and the Democratic Party team of Israel haters that included Hillary Clinton simply want to demonize the Jewish State–as a way to demonize Jews. 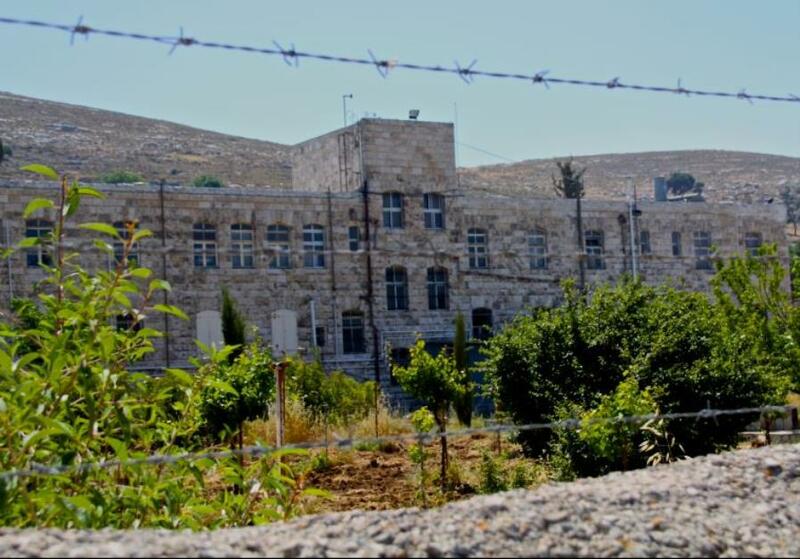 For years the US Presbyterian Church owned a piece of land in the West Bank where it ran a tuberculosis hospital and then a hostel on the site. Obama didn’t care when it was owned by Presbyterians. But when the land was legally purchased in 2009 by Dr. Irving & Cherna Moskowitz from US Presbyterian Church. Well, actually it wasn’t that actually the building of houses that the Obama administration objected to. If it were intended to house Christians or Muslims they wouldn’t have objected. The Obama administration objected to the fact that Jews were going to live in those buildings. From its first day, the 2016 Democratic Nominating convention was an anti-Israel/anti-Semitic hatefest. The convention opened with , Rep. Hank Johnson (D-GA) a Hillary Clinton super-delegate, took time away from his party’s nominating event to speak at an anti-Israel meeting sponsored by the U.S. Campaign to End the Israeli Occupation, an organization trying to unite the antisemitic Boycott, Divestment, and Sanctions (BDS) movement, against Israel. According to the Washington Free Beacon Johnson, who once warned that too many Marines on Guam may tip the Island over, said among other things that Jews who lived in the disputed territories were termites. Keith Ellison’s history and actions of mainstream Democrats demonstrate that no one should really be surprised so many in the party support Louis Farrakhan and his anti-Jewish hatred. The examples above prove the Democratic Party has become the anti-Semitic party (there are additional examples but the post is already long enough). The only remaining question is, will my fellow American Jews who overwhelmingly (and blindly) support the Democratic Party finally wake up and smell the truth.